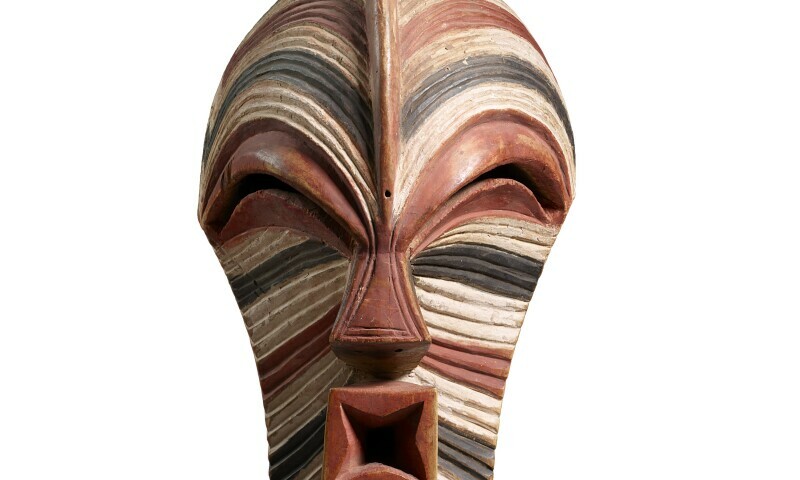 Mask, kifwebe. Artist of the Songye region, around 1900. For the first time, this exhibition presents objects and photographs that the German art anthropologist Hans Himmelheber collected during his field trip to the Congo in 1938–39: coloured masks, imposing figures, and richly decorated everyday objects. These are contrasted with contemporary positions by renowned Congolese artists.